Could You Lose Your Vehicle After A DUI? Suppose you lent your vehicle to a relative who had a problem with a Los Angeles DUI in the past. You thought that your relative had sorted out all the legal issues, but when police pull her over for a traffic violation, they charge her with driving on a suspended license. That’s bad enough—but then you find that the state is going to seize your vehicle because of your relative’s misbehavior! A woman in Moline, Illinois, is living that scenario. 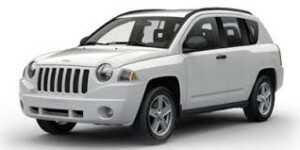 Last summer, 70-year-old Judy Wiese gave her grandson the keys to her 2009 Jeep Compass because he said he needed it to get to work. The young man told his grandmother that he had taken care of all his court obligations related to a 2014 DUI. He neglected to mention that didn’t include getting his license back. Soon after police arrested Wiese’s grandson for driving on a suspended license, the Rock Island County prosecutors began proceedings to seize her car. Under Illinois’ forfeiture laws, government officials can seize vehicles used in the commission of a crime. They are applying the law, originally presented as a way to punish people involved in crimes like drug trafficking and financial fraud, to many other types of cases. The Dispatch-Argus reports that between 2010 and May 2015, Rock Island County prosecutors filed nearly 1,500 forfeiture cases, ending up with $2 million in cash, 500 vehicles, 14 properties and other assorted items. The money goes to the police agency that seizes the property; the state police, the state’s attorney’s office, and the state appellate prosecutor’s office. Wiese is fighting the case in court but says that she lives on $730 a month and can’t afford a lawyer. She’s tried representing herself, but she is having trouble following court procedures. The judge and the prosecuting attorney have both basically said that’s tough luck for her. California and many other states have similar laws. Under California Vehicle Code 14607.5, owners of vehicles driven by an unlicensed driver, or by a driver whose license has been suspended or revoked, may have to forfeit their car—whether it belongs to them or not.